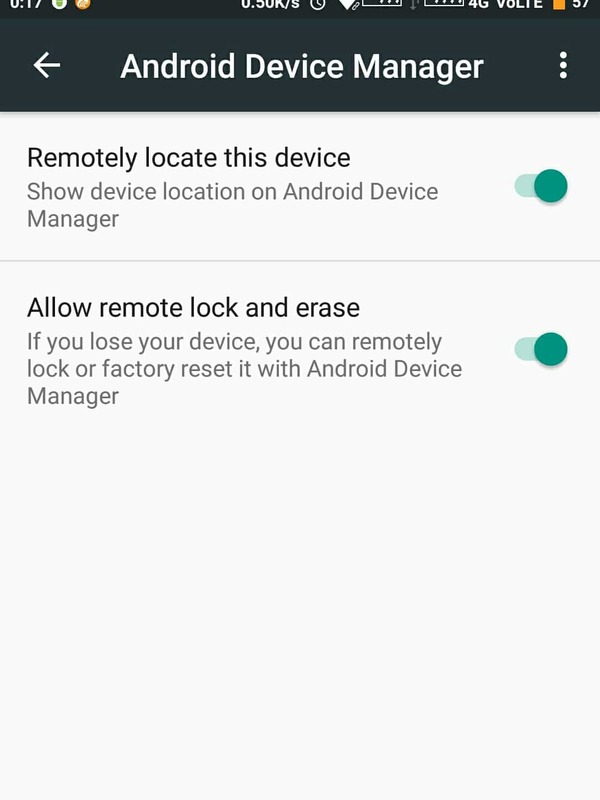 How to use ‘Find my Device’ to reset lock pattern & track Lost Android device. Everyone uses some lock on their devices, as it gives us a sense of security. And it is always better to use one. But there are cases when you might get locked out of your device, just like losing the key of your own bike or car. As now every smartphone comes with a Fingerprint sensor, we hardly use the pattern or password and eventually we may forget it. It’s more common issue than you would think. If enabled, Find my device can help you in this case. Follow the steps how to unlock Android devices having lost Pattern, PIN or password. 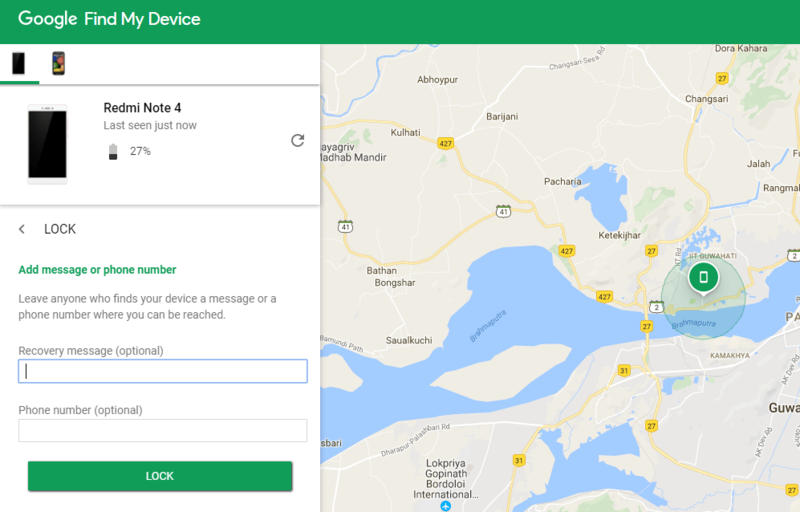 Find my device works linking to your Google account. It comes integrated with the Google app on every Android device. Users should just enable it so that they can Locate, Lock and Erase all their data if the device is misplaced or Stolen. 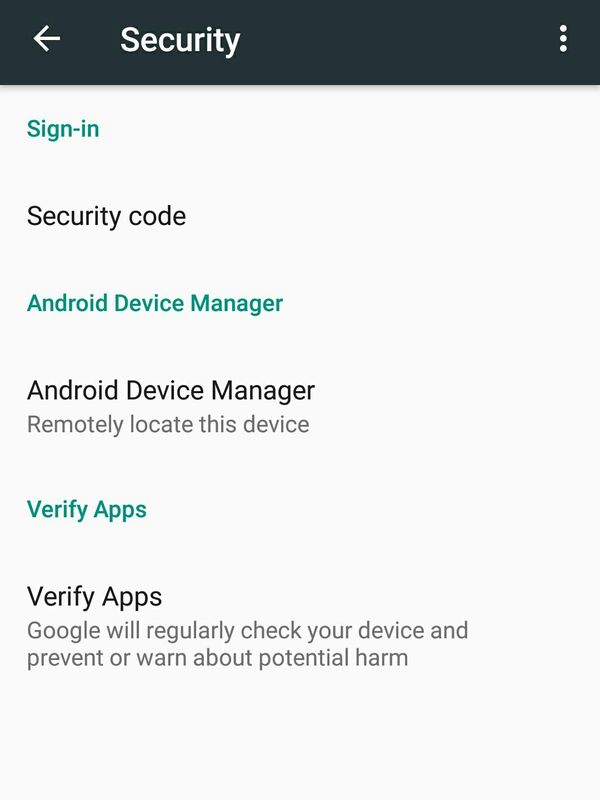 In your device’s Settings app, tap Google. 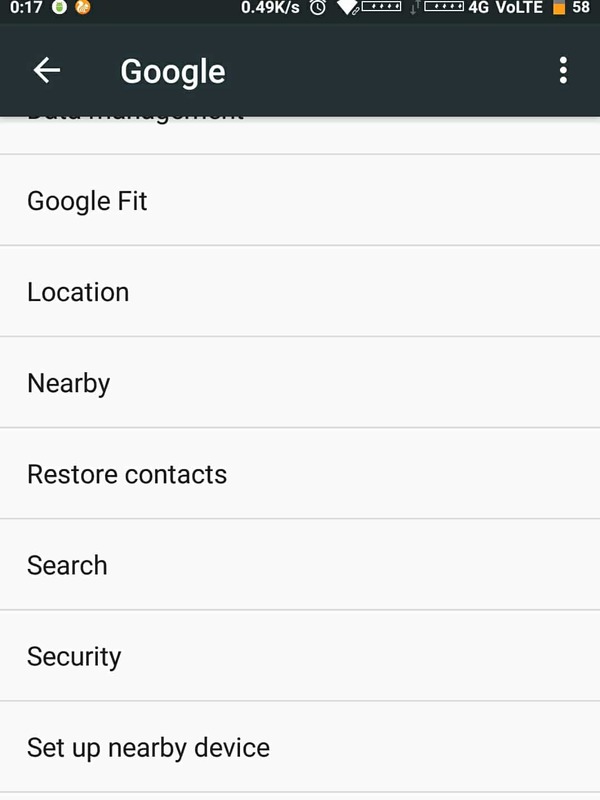 Open a separate app called Google Settings. Go to Security under services section. Turn on: Remotely locate this device and Remotely erase this device. 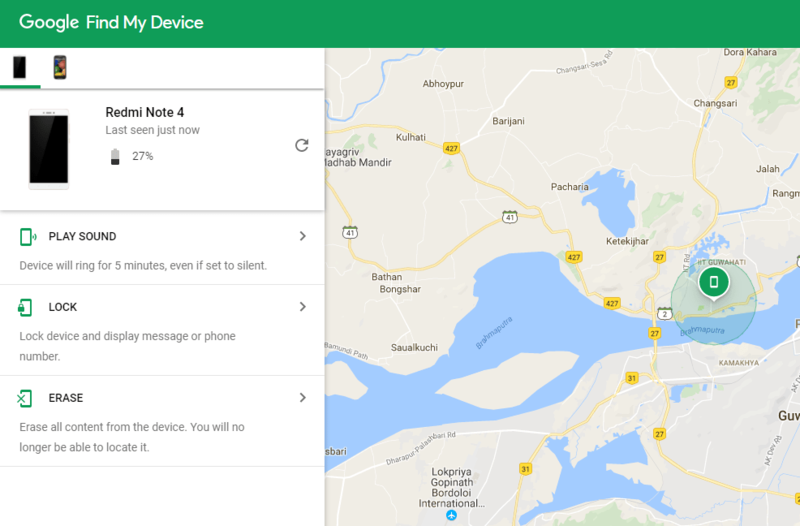 Visit the Google Android Manager website from a computer or any other device. Sign in using your same Google account associated with the Android device. After Signing in at the website, just select your device from the top left corner, if you have multiple devices. It will display three options: Ring, Lock and Erase. Follow the on-screen instructions with your desired option. Visit the Find your Device URL from a computer or any other device. Sign in using the same Google account associated with your Android device. Select your device, and you find three options: Ring, Lock, and Erase. Tap on the Lock option. Then it asks you to enter a new Password and Confirm. That replaces your existing password on your device that you’ve forgotten. Now your device lock screen will show a password field. Type in the new password you set, it should unlock the device. After successfully unlocking your device, go to lock screen settings on your device and disable the temporary password and set a new one. Step 1. On the every 5th wrong attempt, you will notice that your lock screen displays a “forgot pattern,” “Forgot PIN” or “forgot password” button. Tap that button. Step 2. You will see a screen asking to Sign in, so fill it out with your Google account credentials associated with your device. Step 3. Your phone will be unlocked, and you can set a new password. Unfortunately, if none of these methods works for your device, the only option is to factory reset your device. That happens only when your smartphone was unable to access the internet from any source. Factory resetting the device Erases all the data, but you will get your phone back! You can Factory reset by entering into Bootloader menu using appropriate key combinations for your device.You can search the internet for your device key combinations and then follow onscreen instructions. Follow us for more Android Guides. For any doubts, you can comment below.